Bob Bales, age 86, passed away on January 8, 2019, at his home while under Hospice of Green Country’s care. Bob was born August 10, 1932, in Tulsa, OK to Andrew and Ocy Bales. He graduated from Central High School and married his high school sweetheart Dorothy Jackson in 1950. Bob retired after 50 years as a machinist. During his career, he had been employed with Enardo, CE Invalco, Natco and Robb’s Manufacturing. Not one to be sedentary later in life, when he wasn’t working on his 20 acres, he worked as a Wal-Mart greeter in Skiatook where he never met a stranger. When Bob entered a room, with his booming voice and humor, there was no question he was there! Bob was preceded in death by his parents, his brother Jack, son Tom, and son-in-law Paul E. Shirley. He is survived by his wife Dorothy, sister Betty Minton, sister-in-law Betty and remaining children: Bob Bales Jr, Sharon Shirley, daughter-in-law Connie Bales, Rhonda Evans (Larry). He will also be missed by grandchildren Robert (Melinda), John, Amy, Angie, Tim (Kelley), Sean (Emma) and Ian, along with nieces, nephews and great-grandchildren. He will be forever missed but never forgotten! My former father-in-law (Dad Bales) was a wonderful human being. Never cross with anyone, always wore a smile, non-complainer, never an unkind word toward his fellowman. Always a hard-working man never missing a day. A loving, devoted, and faithful husband, father, grandfather and great-grandfather. What more could one ask? He taught me how to milk goats and dehorn the mother goat’s kids at 2 days old. He helped me treat my calves that had ring worm and mended my fence line after a tractor accident. He called me “babe” when I was sad and felt lost. And, Dad was a wonderful cook – best fried chicken around! 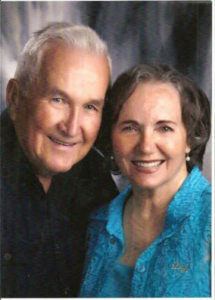 He was blessed to receive such loving care by his youngest daughter, Rhonda, before entering the gates of Heaven. I love you Dad and will cherish the many memories I hold dear in my heart. Till we meet again! Well miss you Daddy Bob. We lost our Dad, Bud Silcox, Dec 16, 2016. He was 90!